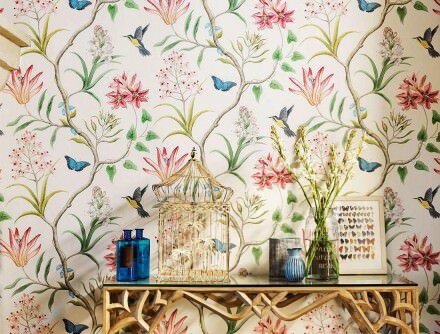 Our multi-facetted living room wallpapers complement any style of interior design and bring the big wide world into your own home: Colonial style, country house style, shabby chic, Mexican heat, fast-paced America, French joie-de-vivre, Caribbean passion, Spanish fiestas, romantic Alpine sunsets or Swedish purism. 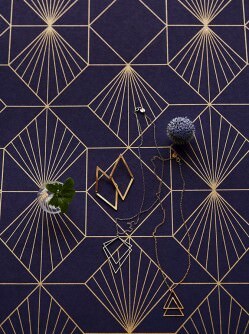 A huge choice of patterned wallpapers, unusual wall coverings, hard-wearing yet gorgeous materials, and vintage wallpapers for those who prefer a retro atmosphere – our trendy and innovative wall treatments, designed by talented international artists, will fulfil even your wildest dreams. There is hardly another room in the house that is as flexible in terms of interior design as the living room. Our huge array of living room wallpapers of any possible style and material enables you to let your creativity and willingness to experiment roam free. Patterned wallpapers are one of the main elements of living room designs, especially when the idea is to emphasise a specific wall. There is no such thing as the special lounge wallpaper and there are no limits to possible themes and styles. The living room is the place we come to relax after a long, hard day. What we need in our living rooms is peace, cosiness and a comfortable environment - all easily achieved with our trendy living room wallpapers. In terms of colour, the choice of wallpaper for the living room very much depends on the type of furniture and the layout and size of a room. Discover a world of fantastic wallpapers in our Wallpaper Shop and let us inspire you with our innovative ideas. Top-quality designer wallpapers promise results that will keep you happy for years to come. The living room has always been at the very centre of interior design, and wallpapers play a major role. The lounge is where we relax, it's our private refuge. Family, life partners, friends and acquaintances gather here to chat, watch movies, spend a nice evening together, play games or simply enjoy each other's company. And it has, of course, the same value for singles who have the same desire to leave the hectic day behind and just chill. 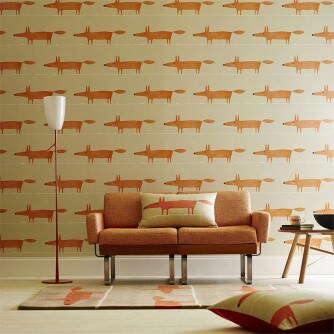 Wallpaper in living rooms give this room the requisite warm and comfy touch. Even though the lounge is one of the most private and personal rooms in the house, it also has a representative character. Depending on the layout of a home, it might be connected to the dining area, which makes way for new design options. Designer wallpapers are a fantastic addition to any lounge. Your very own parlour presents you with an opportunity to show your personality and taste by choosing a wallpaper in colours and with patterns that reflect it. With stunning wall décor by famous names like Versace, Coordonné, NLXL, Vatos, Flavor Paper, you can create an exclusive ambience that most definitely has the X factor. In large living rooms, there might be designated areas for reading, watching TV or listening to music, and topical lounge wallpapers can provide the right backdrop. Our personal retreat has many faces, in line with our personal preferences: a relaxed lounge feeling, a successful combination of vintage style and clean-line purism, shabby chic, Mediterranean cottage style, fantasy world or romantic florals - all made possible with our fabulous wallpapers for living rooms. Discover the fascinating world of patterned wallpapers for the lounge in our Wallpaper Shop. Baroque wallpapers, floral wallpapers, striped wallpapers, wallpapers with geometric patterns, vintage wallpapers, glamorous wallpapers, and romantic wallpapers offer a huge variety of choice. Modern lounge wall décor often comes in incredibly realistic material imitations like wood, concrete, stone, metal and ceramics and complements a whole range of contemporary interior design styles. Find ideas and inspiration for stylish wallpapers in the living room in our "Lookbook" with wallpaper trends as well as in our extensive Customer Picture Gallery. Wallpapers for living rooms can be brightly coloured or pastel, in light or dark hues, in natural, metallic, matt or glossy tones or a contrasting mix of colours. Structures and special surfaces have an impact on the effect of the colour, especially in terms of light reflexes. There is only one general rule: The final result should do justice to the specific character of the room. The character of your living room is based on your own preferences, but you should follow a few tips for choosing the right colour to harmonise the layout and your style preferences. Light and natural colours add brightness to living rooms with small windows and limited natural light. 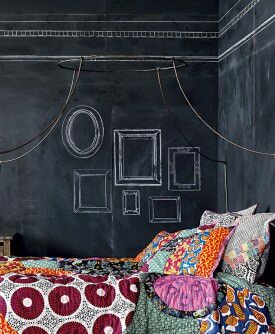 If the room is large, a contrasting darker tone can be used on one feature wall. Multi-dimensional patterns can be interrupted by windows, which makes them less suitable for those areas. Choose a wall without "interruptions" for large pattern wallpapers for the lounge. Strong, stimulating colours should be used sparingly as the living room is predominantly an area of relaxation. One feature wall with a patterned wallpaper is often enough to emphasise a specific style. But warmth and comfort cannot just be achieved via specific colours - material structures and textile surfaces are a fantastic alternative. Imitation wood wallpapers, bamboo or cork wallpapers or linen wallpapers create an irresistible cosiness in any lounge. For clear, modern or futuristic styles, try colour combinations in black/white/grey/silver. Turquoise is one of the more inspiring colours for living rooms and it can be beautifully matched with many other hues, e.g. gold, silver and brown. Purple and pink lend a romantic and somewhat mysterious air to the lounge. Green stands for the freshness of spring or lush exotic greenery, depending on the intensity of the hue. Unlike other rooms in the home, the lounge can be beautified with wallpapers of any carrier and surface material. It is up to your own preferences whether you choose a paper-based or non-woven wallpaper for the lounge. Various different types of characteristics or structures have an impact on one's own well-being and can reflect personal styles and moods. Our living room design wallpapers are available as paper or non-woven (fleece) varieties with a huge choice of surface materials. As a general rule, lounge wallpapers are not subject to extreme demands (for instance excessive humidity or potential stains). As a result, it is entirely up to you whether you'd prefer a wash-resistant or washable living room wallpapers. 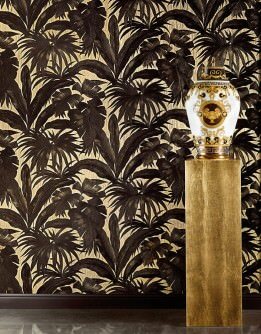 Our Wallpaper Shop offers a fantastic choice of materials, structures, patterns and motifs by designers from all over the globe. The surface of your living room wallpaper plays an important role in terms of its visual appearance. Smooth, with a tactile relief, three-dimensional effects, up-down structures, silky, soft, light as a feather or taken directly from nature - all this and more characterises our extensive range of wallpapers for the lounge. There follows an overview of surface materials and tips as to which styles and types of living room wallpapers match with which style of interior design. When it comes to nature wallpapers for the living room, the name says it all. The surface of these wall treatments is made of natural materials, for instance various types of grass, bamboo, cork, tree bark or leaves. We are all familiar with these materials, and their structures lend warmth and cosiness to a room. Every material has its own structures which - depending on the arrangement - can form very different or typical patterns. In terms of colours, there are all sorts of natural hues like white, cream, brown, red and green. 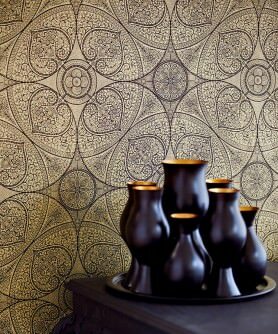 Probably the most striking feature of natural wallpapers is the variety of structures. They provide a whole plethora of design options for many different styles, e.g. living rooms inspired by the magic of Asia (Feng Shui), Modern Purism, authentic Country Style or whimsical Shabby Chic. Nature wallpaper in a Mid-Century Style which combines vintage design with modern elements provides fantastic contrasts, especially when matched with classic wooden furniture. Textile wallpapers are made from natural or synthetic fibres and often feature striking vertical warp threads. They create a very specific "feel" in a room. Our range includes wallpapers with surfaces made from cotton, silk, linen, felt or even feathers. A textile wallpaper for living rooms offers both a certain tactile element as well as visual beauty. Delicate linen structures provide movement as well as warmth, whilst a smooth silk wallpaper is characterised by its cool elegance and a sense of luxury. One of the main advantages of textile wallpapers is their versatility. Flock wallpapers are a case in point. Short viscose fibres are applied to a carrier layer of fleece or paper in a specific pattern. This creates a velvety surface with a relief effect which appeals to all senses. Quality is a major element of textile lounge wall décor. Bright or natural colours, striking gloss-matt effects and fantastic structures create their own movement and impact. Lounge wallpapers with Baroque patterns with elegant warp threads and tactile relief are particularly suited for sophisticated and luxurious surroundings. 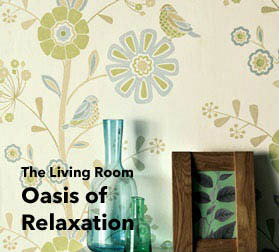 Floral living room wallpaper provides playful creative potential for nostalgic, romantic, exotic or dynamic styles. The combination of textile materials and flowery patterns can lighten up a room and give it a fresh and airy feel. Crush wallpapers also belong to the category of textile wallpapers. The typical crinkle look and fold structure makes this living room wallpaper a stunning eye-catcher which provides flow and movement. The possibilities are endless - some models of this specific wallpaper for the lounge remind us of natural twigs, others are reminiscent of broken glass. Living room crush wall décor with white, black, grey and silver as base colours in combination with metal and sheen effects is perfect for modern living rooms with a touch of glamour and luxury. 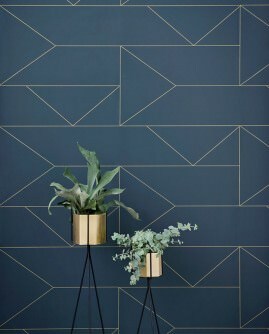 Metallic and effect foil wallpapers create a stunning visual atmosphere. They play with the light, provide strong or more subtle sheen and feature interesting structures and patterns, lending multi-dimensional depth to living room wallpapers. Extremely thin metal or effect foils form the surface of this type of wall décor. Innovative processing methods can imitate oxidation or etching. Special glazes provide the metallic sheen. Effect foil wallpapers are masters of optical illusion and create holograms, 3D images, infinite expanses, rainbow colours or mirror reflexes that play with the light. 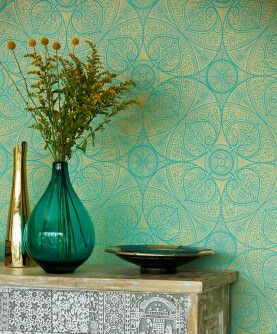 The stunning metal wallpapers and effect foil wallpapers in our Wallpaper Shop come with patterns or simply in iridescent colours. They are incredibly versatile and can be used on all walls or just a feature wall. There is no doubt that choosing glass bead wallpaper or leather wallpaper for living rooms emphasises the representative character of a room. Glass bead wallpapers are characterised by their fascinating sparkle. The beads can form a pattern or bring motifs and colours to the fore. Leather imitation wallpapers for lounges are treated with a vinyl coating, and special processes create the authentic leather look. Many different types of leather can be imitated this way, and they look incredibly natural. Leather is one of the most valuable materials for shoes, bags and accessories and there is a clear association with status and quality. Leather wallpapers for the living room can be combined beautifully with any furniture material, e.g. wood, metal, stone, or plastic.